Strappy, two-toned look in a unique shoe perfect for your favorite modern dances. Comfortable closed heel with stylish trim, and exclusively designed mesh windows on the sides to show off your feet at their best. Pick your favorite colors to show off this special design created for your dancing pleasure! Pictured in Satin(The color showed in this picture has been discontinued. Please check our "material and color" page for available colors. ) 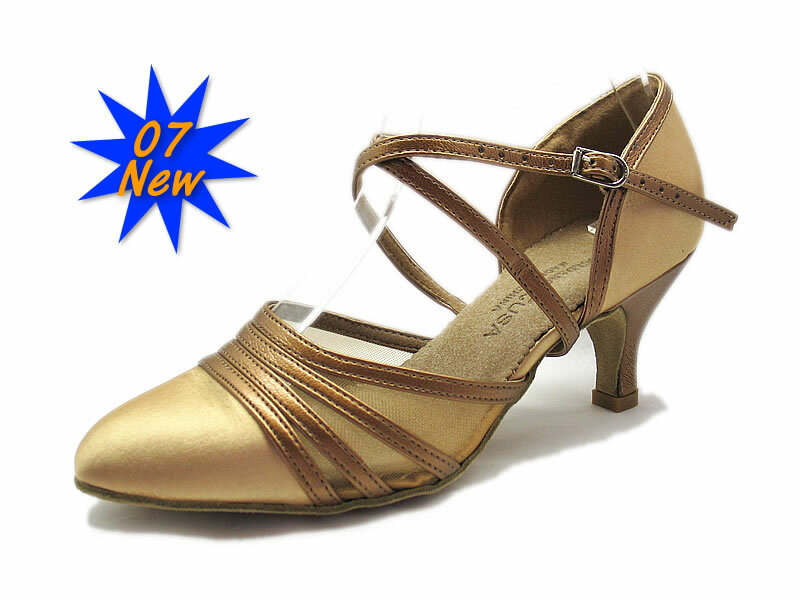 with Dark Tan Man-Made Leather(G6) trim, with 2 1/2" Slim Heel.